This cultivar develops a lot earlier, even than Radicans, the gardenia known for its precociousness. 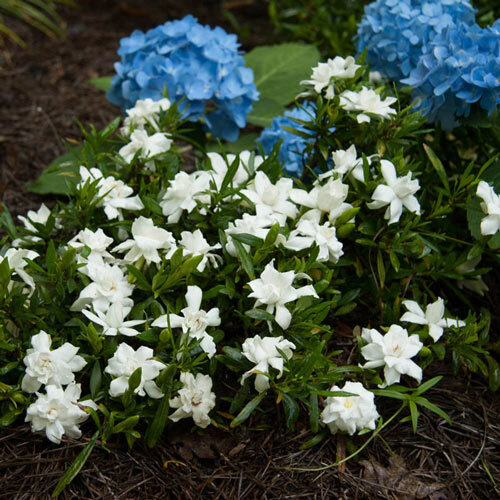 Most gardenias tend not to be hardy either, and only perennialize in the deep south. However this one's cold–hardy all the way up to zone 7. It'll form into a nice mound, reaching up to 2' tall and 3–4' wide. 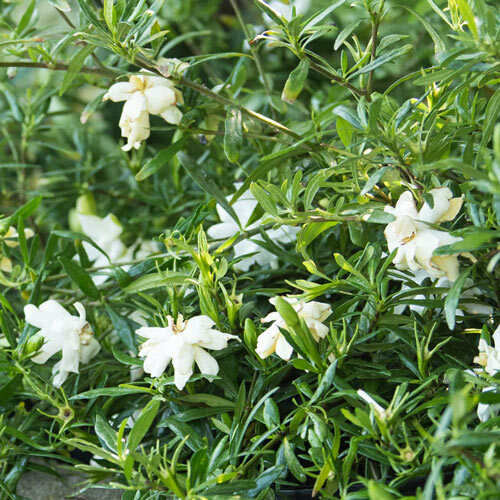 Between its habit and its clean white double blossoms, it makes a nice tidy edge to a walkway. There are two great reasons to put this cultivar along a walkway, the first is that white blooms are stunning in low light. While other colors fade into the shadows, these reflect all available light, and keep the path's edges more visible into the evening, and on bright moonlit nights. The other reason, as the name suggests, is that they are incredibly, delightfully fragrant. 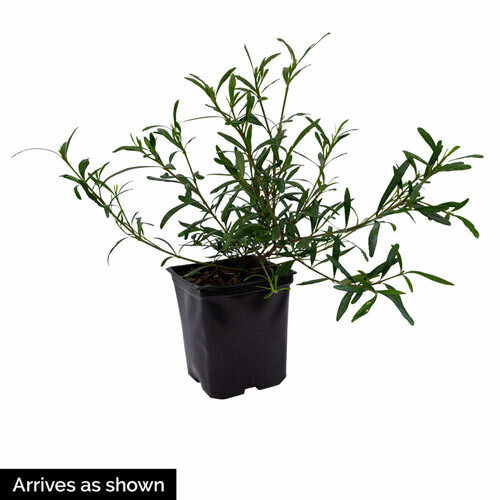 A good garden scent charms visitors, and makes the experience of your garden more appealing. For a pleasing stroll through your landscape, fragrant pathways are a treasure. Planting InstructionsDappled shade is best planting location. Some afternoon shade would be helpful in the deep south, but best flower production with more sun.